To build a home in The Preserve, property buyers choose one of our Approved Builders to ensure that the exceptionally high standards that characterize the community are served throughout the building process. More than half of these firms have been building in The Preserve for 25+ years. Each builder has been selected based on an impeccable track record of trust and quality craftsmanship, as well as their thorough understanding of The Preserve’s construction and design guidelines developed with both the present and posterity in mind. The collective performance of our Approved Builders through the years has resulted in enjoyable experiences for Preserve homebuyers, including outstanding resale values when a property is listed for re-sale. Following are brief profiles and contact information to learn more about each of our Approved Builders. We believe you’ll find the greatest challenge is choosing just one. Craftsmanship… quality… beautiful detailing… thus, lasting value. 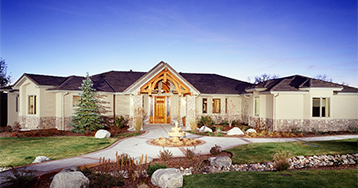 For more than 30 years, Bond General Contractors has built the finest custom estate homes throughout the Front Range. Owner Matthew Bondarewicz says, “For us the art of building is tied to listening to our clients’ desires and needs, and understanding their lifestyles and tastes.” His team helps clients navigate design decisions and manages every aspect of their projects from pre-construction through ongoing maintenance. Click here for more information. In 40 years of designing and building custom homes, Robert Koelbel Homes has learned the value of involving homeowners in every step of the process. Dedicated to old fashioned, down-to-earth values – honesty, integrity and hard work – Robert Koelbel regards quality as paramount because every home he builds carries two important signatures – yours and that of Robert Koelbel Homes. Click here for more information. Nothing but the finest materials and the most accomplished craftsmen are employed in the creation of a Malibu custom home to ensure that ever detail is meticulously crafted to reflect each client’s individual needs. Founder Glen Zahorka’s adherence to stringent standards, plus a consistent focus on quality, has made Malibu one of of Colorado’s most sought-after custom-home builders. Click here for more information. 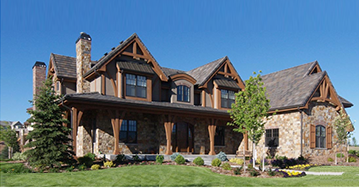 For more than 60 years, the Harrison family has built many of the finest homes in the most prestigious communities throughout Denver and Douglas County. The company continues to thrive today under the guidance of Scott and Christie Harrison, the third-generation of family leadership, taking pride in unsurpassed artisanship, state-of-the-art project management and exceeding homeowners’ expectations. Click here for more information. Combining more than two decades of custom-home experience and a devotion to customer service, President John Rottschafer has built a company where excellence is the only acceptable standard. The most vital ingredients? Understanding each client’s unique requirements and understanding every aspect of each building site to maximize its full potential. Click here for more information. Click here for more information. 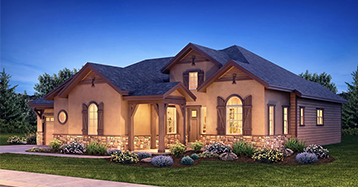 Led by third-generation home builder Tom Sattler, award-winning Sattler Homes comprises a team of architects, interior designers and contractors who approach each project with creative vision and the highest standards of excellence. Their process enables them to build premier homes that reflect each client’s individuality and lifestyle while remaining sensitive to personal budgets. Click here for more information.